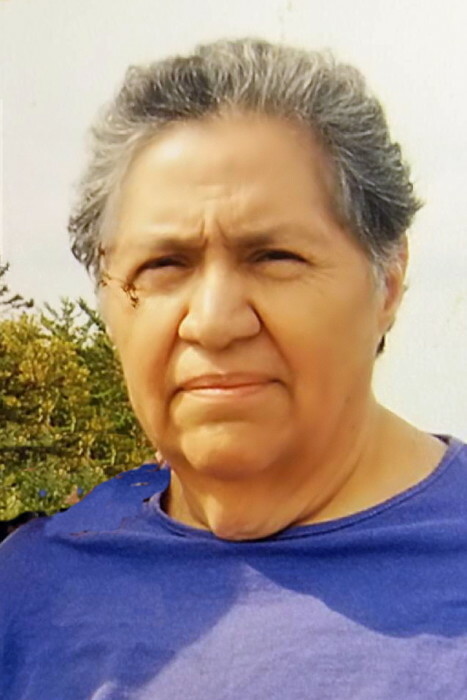 Weslaco - Juana Esparza, 73, died peacefully August 9, 2018 at Aurora Comfort House in Weslaco. Juana was born December 27,1944 to Anastacio and Toribia Ramos in Mexico. She worked as a seamstress for the Haggar Clothing Company for many years. She is survived by her son, Hernan (Virginia) Ramos, and daughters, Miriam (Eloy) Silva, San Juanita (Fabian) Gonzalez, and Sagrario Esparza. She is also survived by her 12 grandchildren, 10 Great-Grandchildren, and her brother, Francisco (Alma) Ramos. Viewing will be Monday, August 13, 2018 from 3:00 p.m. to 9:00 p.m. with a Holy Rosary at 7:00 p.m. Viewing will continue Tuesday, August 14, 2018 at 8:30 a.m. followed by Funeral Mass at 10:00 a.m. at St. Theresita Catholic Church in Edcouch. Interment will follow at 11:00 a.m. at Anahuac Community Cemetery in Edcouch.